If you want quality insured dental care services at reasonable rates, Clearbright Cosmetic Dentistry is what you’re looking for. We offer dental treatments using the latest equipment in a modern facility; this is our commitment to the residents of Silver Spring, MD. With each visit, you can expect services that will give you something to smile about. This has always been the passion of our owner, Dr. Chantal Tshikaya. 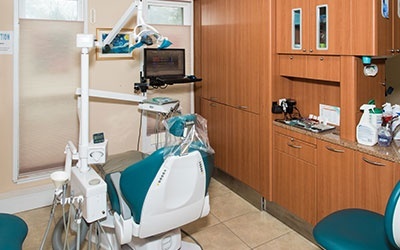 Our goal at Clearbright Cosmetic Dentistry is to provide the best possible dental treatment for our patients at a reasonable cost in a comfortable environment. Our highly trained and experienced doctors, hygienists, and staff pledge to educate and treat every patient as we would to members of our families. We strive to help every patient to have a beautiful smile and healthy teeth and gums for life. Choose Our Dental Care Services Today! In choosing your dental care provider, look no further than Clearbright Cosmetic Dentistry. The services we offer are backed by experienced dental practitioners who commit to providing the best services possible to our clients. Keeping your mouth and teeth healthy is our top priority. Give us a call or visit our clinic today to get started!